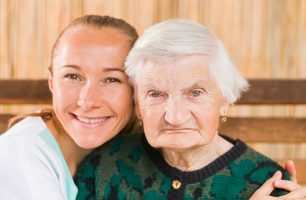 Four Things You Need to Know Before You Become a Family Caregiver|Perfect Gentle Hands Home Care Agency Elder Care Manhattan NY-Many family caregivers look back and find themselves regretting certain things. If you're considering becoming a family caregiver to your elder mom or dad, make sure you know these four things before you start. Many family caregivers look back and find themselves regretting certain things. If you’re considering becoming a family caregiver to your elder mom or dad, make sure you know these four things before you start. As your elder parent’s abilities diminish, there will be frustration, anger, and sadness. You’ll often be the target of the frustration, so you may find your parent yelling at you, refusing to do what you ask, and even slapping or hitting you when you try to step in to assist. You might find it’s like dealing with a toddler all over again. Even after a task is complete, you may never hear the words “thank you” from your mom or dad. You have no idea how to get started. You feel alone and need guidance, but when you call one elder care number, you’re told they don’t help with something specific like Alzheimer’s. They give you a different number, and you feel like you’re just being pushed from one place to the next. When you finally get information sent to you, none of it is any different to the stuff you’ve found online. You need an advocate in care. Start by talking to your mom or dad’s doctor. This is often the best way to get questions answered and advice on who to call next. Whether you’re sent to talk to a social worker for the elderly or an elder care agency, it’s helpful to have a starting point. You’ll want to be in a support group. Whether you join an online group via a social media site like Facebook or a local group, support is essential. Check with local senior centers. Many have listings or posters for area support groups. Your public library and area churches can also help. The earlier you attend meetings, the easier your transition to that of a family caregiver. You won’t be able to do it alone. In a report from the National Alliance for Caregiving and AARP, almost 4 out of 10 family caregivers said they felt incredibly stressed. You need to put yourself first. Call an elder care agency today to arrange the services of a home care professional. With an elder care agency sending someone a few hours a week, you’ll be able to reduce stress by having time and freedom to take a break. If you or an aging loved one are considering Elder Care Services in Manhattan NY, please contact the caring staff at Gentle Hands Home Care.